BMW recently announced their July Sales figures for 2015. Over the course of the month they sold a total of 26,970 units, which is a 2.1 percent increase when compared the 26,409 units they sold in July 2014. Want to know more about which vehicles were selling like hot cakes last month? Keep reading! There are three vehicles that performed exceptionally well this past month that BMW recognizes as key factors in its overall success. The first is the BMW 2 Series, the BMW entry level model that sold 1,028 units, an increase of 61.1 percent when compared to last year. The next is the BMW X3 which increased 49.5 percent, selling 2,340 units. This vehicle is a top choice when it comes to luxury crossover SUVs because of the broad selection it presents for consumers. And last but not least the BMW X5 sold 6,011 units, an increase of 123.6 percent! This vehicle is also a luxury crossover SUV. 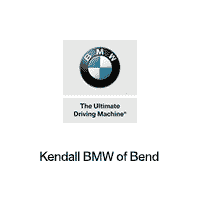 If you are interested in becoming the owner of your very own BMW vehicle come see us at BMW of Bend in the Tumalo area and talk to any of our sales representatives. They will show you all the new and pre-owned BMW vehicles we have in stock and answer any of your questions. We look forward to seeing you soon!